Share a ride to work & earn cash! 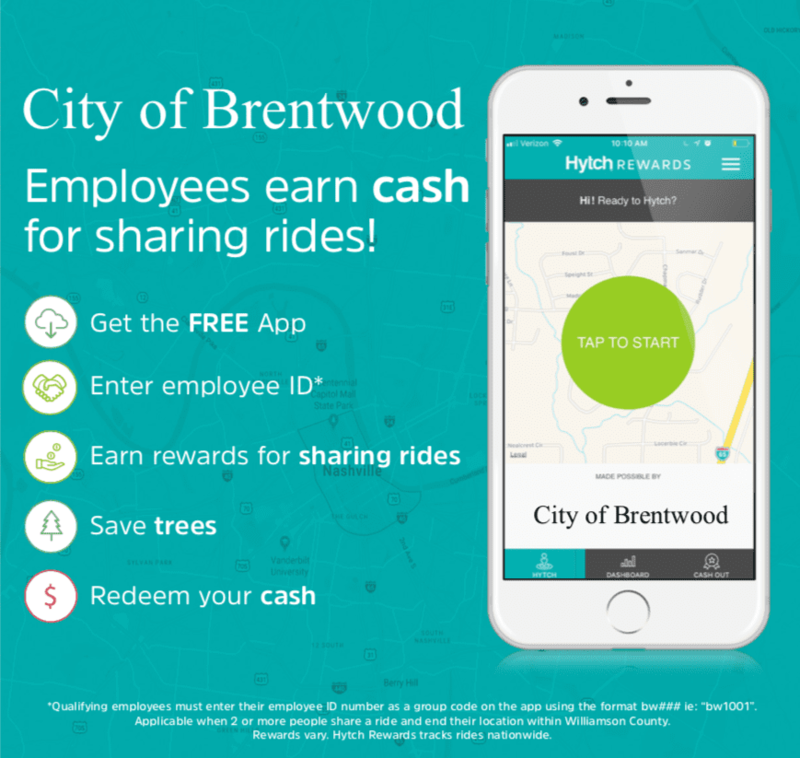 City of Brentwood employees can earn cash when they track their shared rides to work with the Hytch Rewards app. 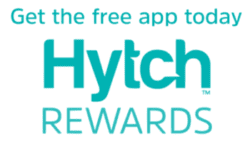 Hytch Rewards is a free app for iPhone and Android that tracks shared rides. The app is able validate when two or more people are in a ride no matter what mode of transportation you are using - car, bus, train, taxi or other ride-hailing service. When City of Brentwood employees share a ride to work and use Hytch Rewards, they can earn up to almost $4 a trip!  What is a Hytch promo code? Promo codes allow people belonging to a certain group to earn rewards not available to the general public. Do I need to use a promo code? City of Brentwood Employees need to enter a promo code to qualify for the 10¢ per mile reward. Where do I find my promo code? What if my promo code is not working? You may receive an error notification after you enter your promo code. If your promo code screen lists "City of Brentwood" you have successfully activated your ID number. If you receive the error and also can’t view “City of Brentwood” listed in your promo code screen, contact HR@brentwoodtn.gov. When do I get rewarded? City of Brentwood is sponsoring city employees for trips at 10¢ a mile that are taken Monday - Friday between 5 AM - 10 AM. You can use Hytch to track every ride you share and see your tree count grow! Rewards vary. If you experience a problem with your Hytch, you can communicate with us directly by filling out the support form found here. Pro-tip #1 - You can contact the support team through the app on the "Help" page. Pro-tip #2 - Read through the Hytch FAQ’s to troubleshoot known issues. What is City of Franklin hoping to accomplish from this partnership? The City of Brentwood want to free up congestion in the City Hall parking lot and offset the cost of transportation for employees.